GWYNN. 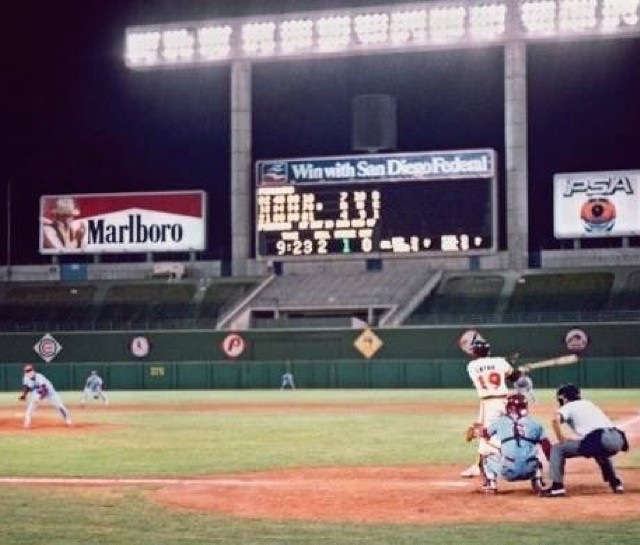 On July 19th, 1982, the Padres played the Phillies at Jack Murphy Stadium. Batting 5th in the lineup and starting in centerfield was a youngster making his major league debt by the name of Tony Gwynn. In his first major league at-bat, he hit a sacrifice fly against Mike Krukow in the bottom of the first inning. 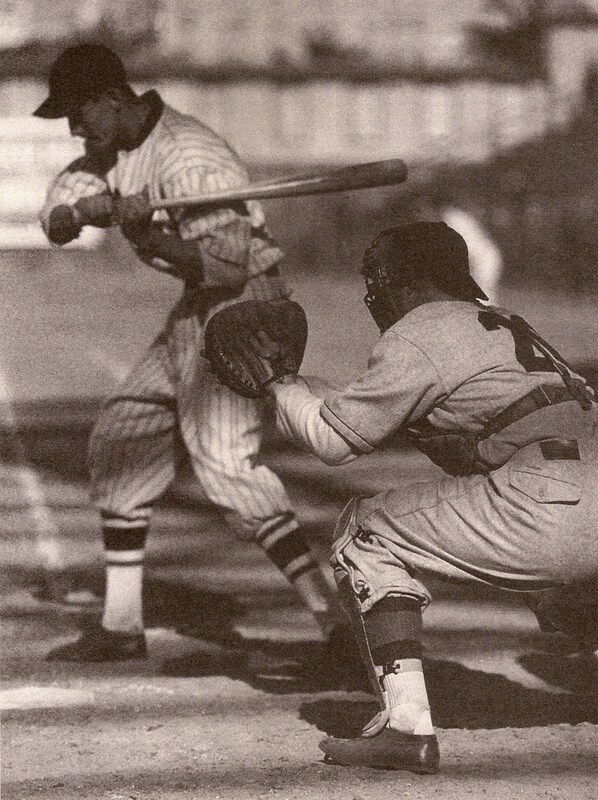 Later in the game, he got his first major league hit with a double to centerfield against Sid Monge in the bottom of the 8th inning. The above photo captures this historic moment. The San Diego Padres Opening Day lineup for for their first regular season game, which took place on April 8th, 1969. The game took place at Jack Murphy Stadium (then known as San Diego Stadium) and the Friars beat the Astros, 2 to 1. 1) This first Padre homerun was hit by Ed Spiezio in the bottom of the 5th inning of this game. Spiezio is the father of former big leaguer, Scott Spiezio. 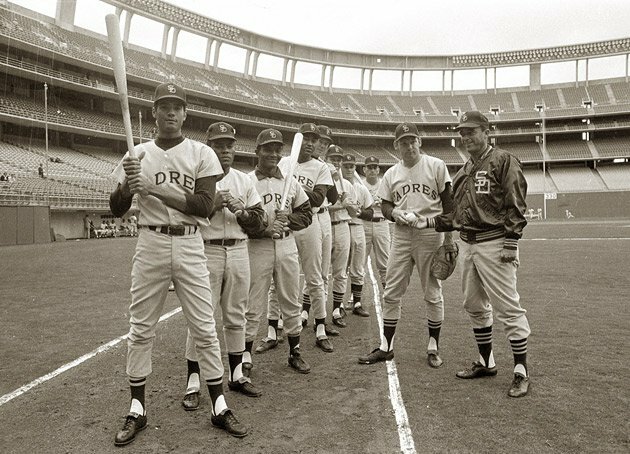 2) Former Padre star and team leader in homeruns for the 1969 team, Nate Colbert did not start the game. He entered as a defensive substitution at first base in the 5th inning and finished the game without an at-bat. 3) The lone All-Star representing the inaugural Padres in 1969 was catcher Chris Cannizzaro. Honestly, how he was an All-Star that season baffles me. 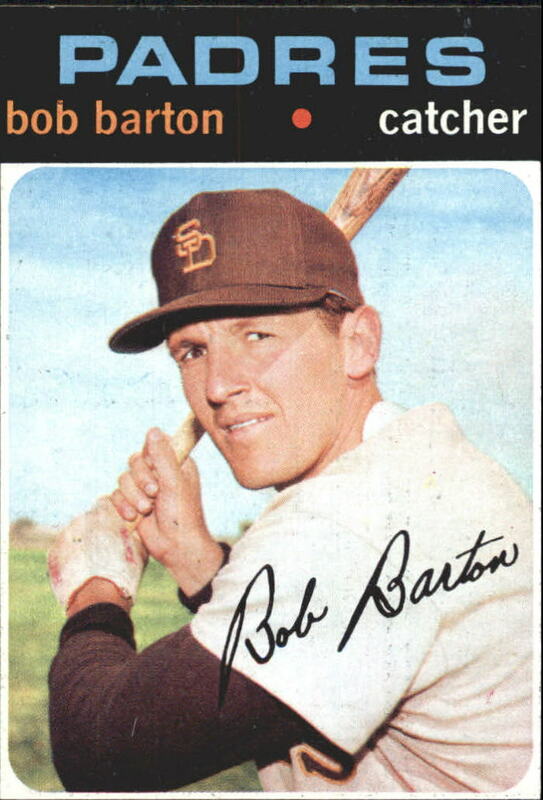 In any case, besides being an original member of the MLB Padres, he was also an original member of the Mets back in 1962. Kinda cool. 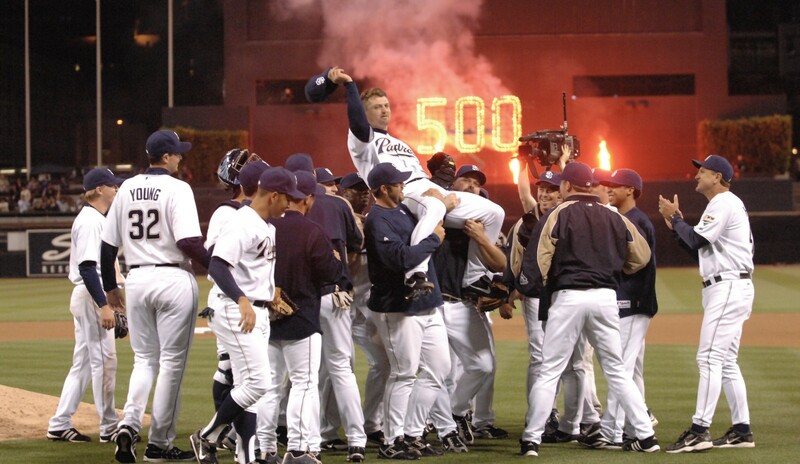 On June 15th, 2007, Cubs slugger Alfonso Soriano hit a homerun off of Padres starting pitcher, David Wells. Soriano pimped it out the box and actually trotted backwards for a bit down the first baseline. 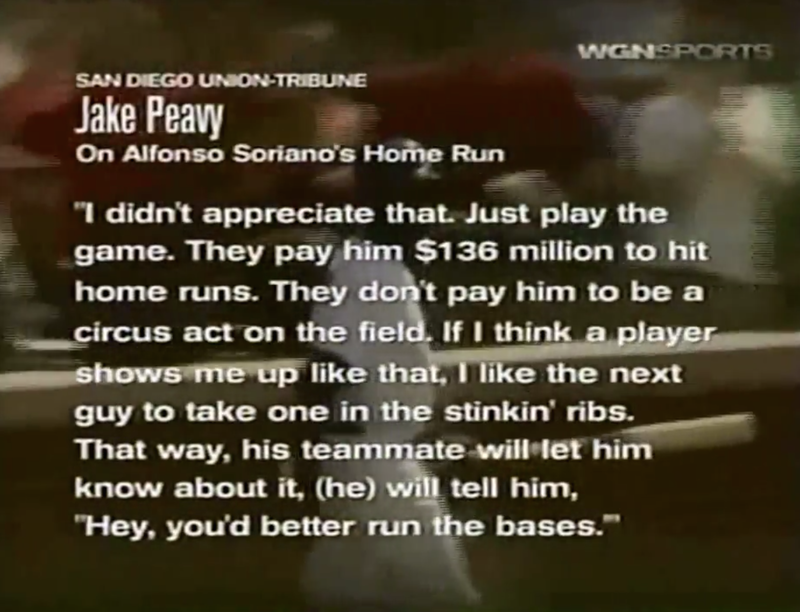 Needless to say, the Padres were not happy with this and Jake Peavy let it be known with the above quote, which I LOVED. I will forever be a fan of Peavy for his days in San Diego and can say he’s still easily my favorite pitcher in the game. The following day, Chris Young hit Cubs first baseman (and former Padre) Derrek Lee in the 4th inning and a brawl ensued. If you’ve never seen the video, I suggest checking it out HERE. The 5’8 Marcus Giles pushing the 6’10 Chris Young out of danger is quite amusing.